This is very unfortunate. 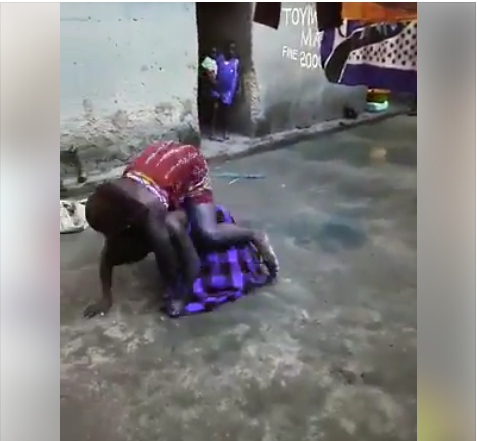 A viral video which is trending online features two women who were filmed shamelessly fighting themselves in their compound. The worst part is that the women's children (including those crying) were present - watching their mothers fight in public. The fight later ended when the men in the compound came to separate them.